1834-1900.…He led his family in prayer. He especially liked to recite the rosary and the Prayer for a Happy Death…. He was proficient at medicine, volunteered services to heal the sick and won respect and admiration…….Someone alerted them, but they stood fast and continued to pray…….Shuang Kui ordered rebels to deal with them. 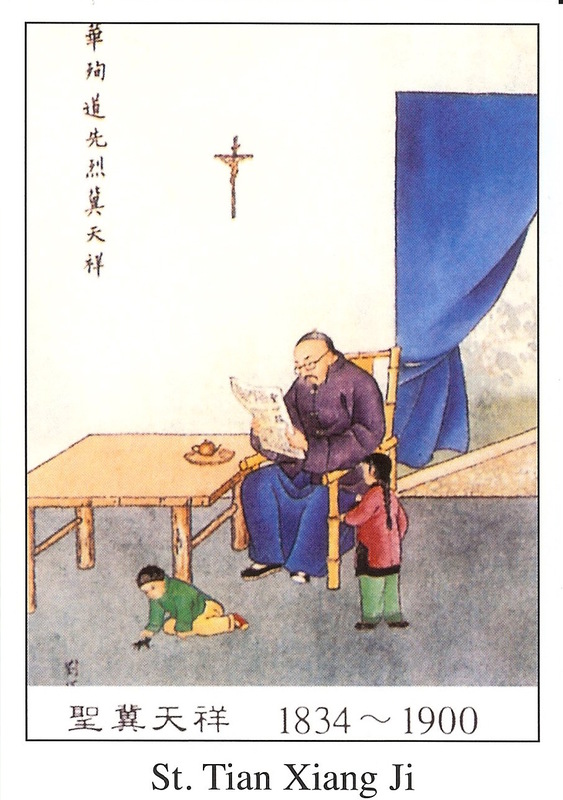 Rebels executed all eleven members of St. Tian Xiang’s family.